This log cabin variation has a wonderful scrappy look. 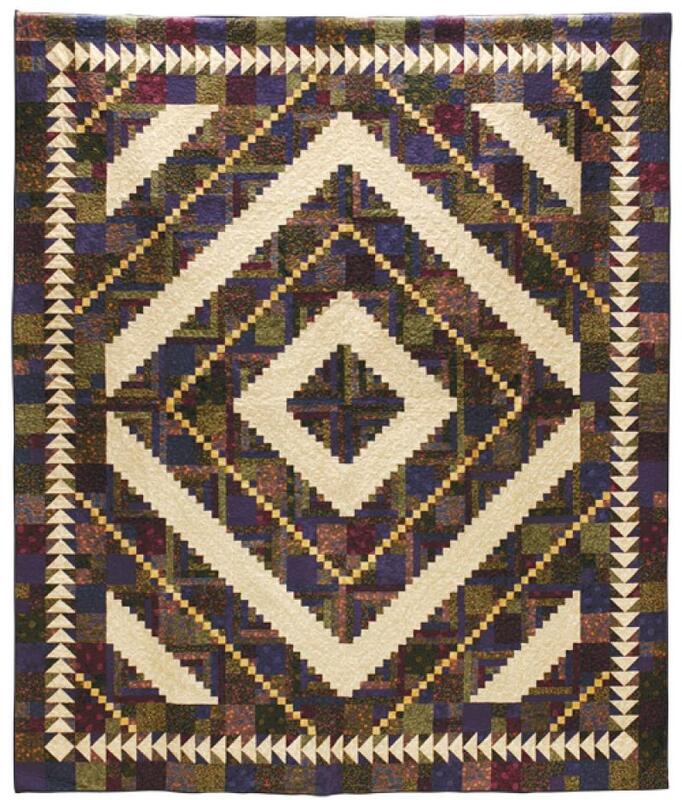 The traditional pattern is dressed up with an "accent" chain running through the blocks and a fun pieced flying geese border. You will select 16 assorted Dark fabrics for this quilt, selecting prints from 3-4 color families. They'll be used all mixed up together, so stay fairly close in value. You'll also need 5/8 yard of an accent print and 3 1/2 yards of a Background print.